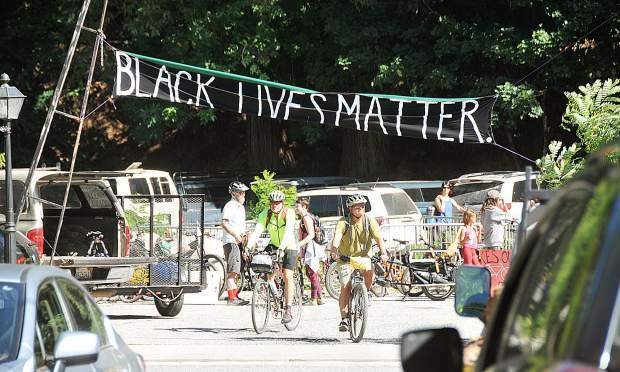 A Black Lives Matter sign is put up above the entrance of The Stone House following Friday's bike ride against racism. 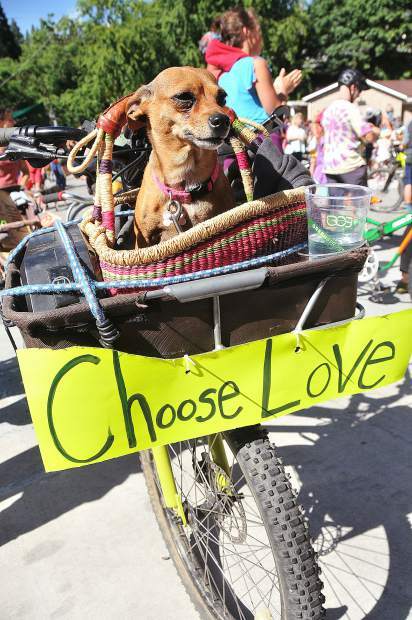 Creatures big and small, young and old, all took part in the ride against racism in downtown Nevada City Friday evening. 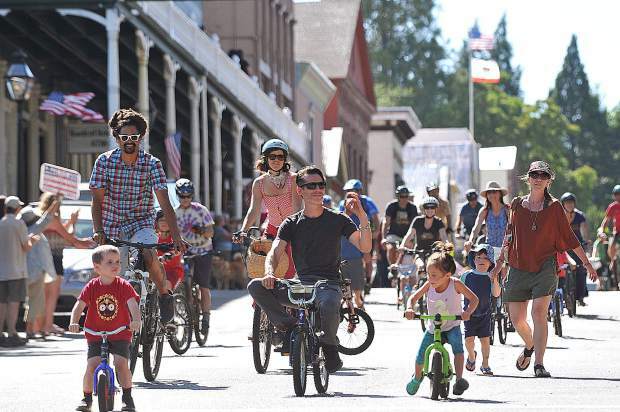 Folks of all ages, races, and backgrounds gathered in unity during Friday's ride against racism through the streets of downtown Nevada City. 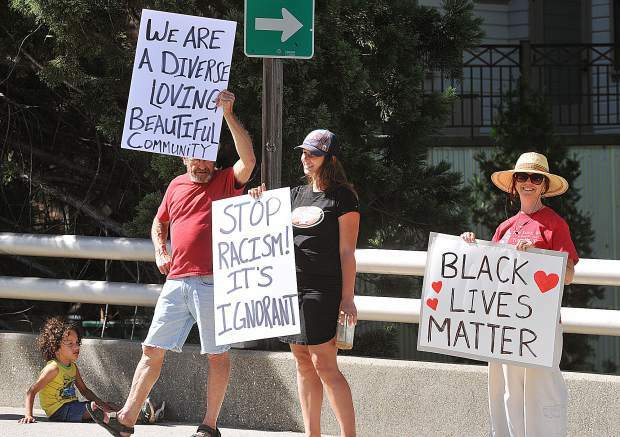 Spectators hold signs to support those riding against racism Friday evening in Nevada City. 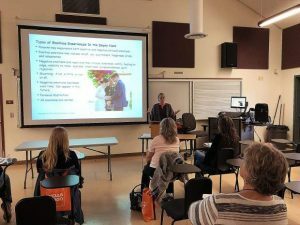 Nearly 100 bicyclists took to the streets of Nevada City Friday evening to denounce racism, riding in solidarity among one another before meeting at The Stone House for an evening of music and inspirational speeches. 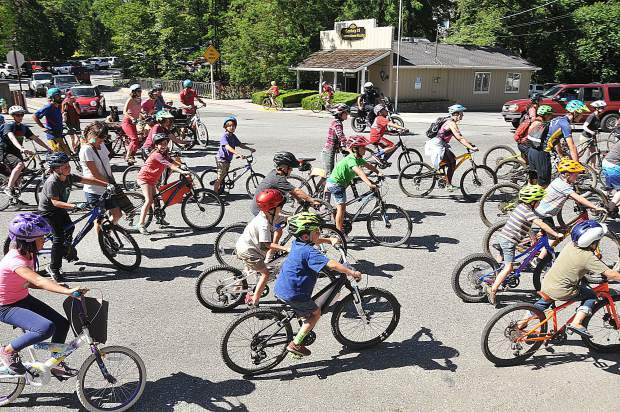 Over 75 area cyclists, the majority being area youth, ride along Broad Street en route to The Stone House after parading through the streets of Nevada City in opposition to racism. Folks gather in the parking lot of The Stone House following Friday evening's ride against racism. 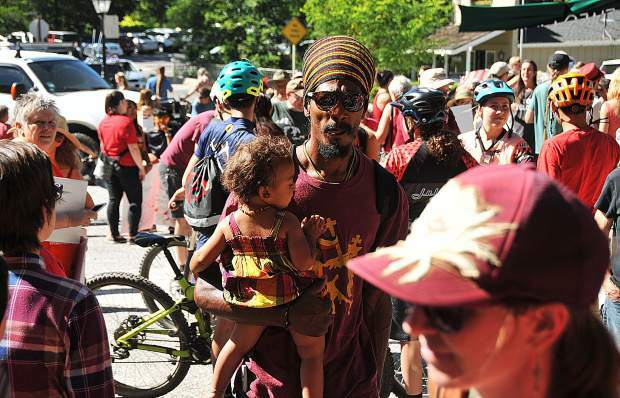 Nearly 100 bicyclists took to the streets of Nevada City Friday evening to denounce racism, riding in solidarity before meeting at The Stone House for an evening of music and inspirational speeches. 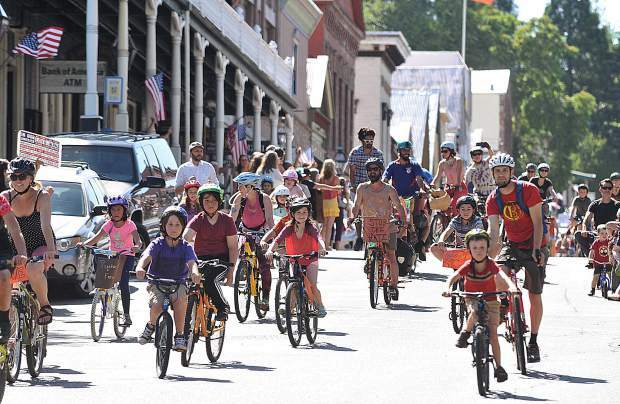 Hundreds gathered along the streets of downtown Nevada City Friday afternoon, to stand ­­­­— or cycle — in solidarity against racism. 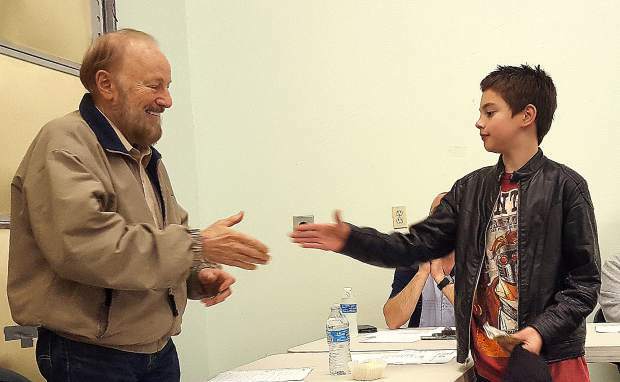 A group of nearly 100 K-12 students rode alongside two local young black boys who say they were racially harassed while riding their bikes in April. 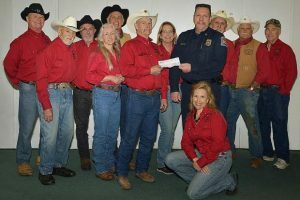 The boys chose for the route of Friday’s ride to pass by the location of that event in order to create a positive memory of that area. The parading peloton of pupils garnered praise from those on the street as they made their way down Broad Street toward their terminus at the Stone House. 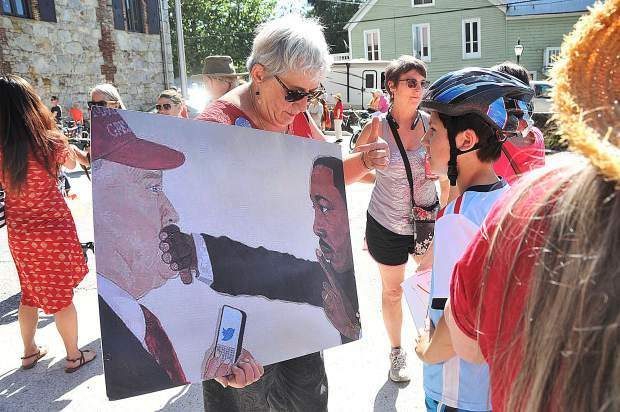 Those on the streets waved signs such as Black Lives Matter, and Diversity is Beautiful before joining the racial justice riders at the Stone House where a patio celebration was scheduled with speakers and music.